NonStiq: Just Who is This Nightwatch Guy Anyway? Alright so the first thing you've got to know about me is that I'm not a real big graphic novel fan. 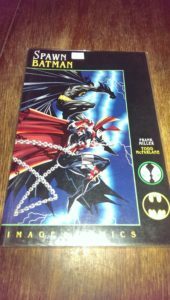 I have an old collection of comics from my younger days and every now and again I'll pick one or two up if they look interesting, but I hardly ever read them. 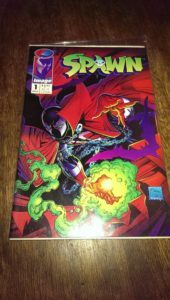 In fact, the only comic book hero I was every really into was Image Comics, Spawn. I have lots of issues of that particular character and I read all of them at one time or another. So I'm going to throw down some exposition real quick. 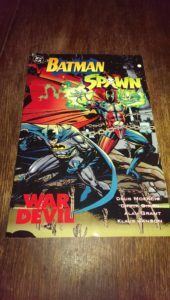 Spawn came about in 1992. I bought the first issue for the same reason I buy any comic: it had a cool cover. I read that book and I was intrigued. 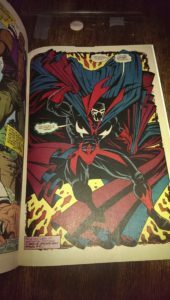 Back in the early 90's Marvel and Image shared a lot of writers and artists and I believe they did so for quite a while. 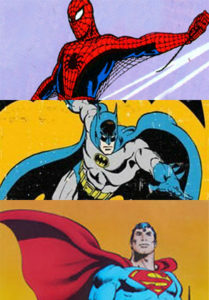 Lots of cross overs took place with various comic companies. One of those artists and creators was Todd McFarlane, his mind was the one from which Spawn was sprung. Okay? Good. Flash forward to 2016 where I got an invite to head on up to my Sister and future Brother-in-law [Twinstiq's own Cody Hall] 's place for a small-ish nerd conference that looked like it could be fun times. While there Cody and I went through some of the many comic bins that lined the booths and searched for something interesting. I found some cool stuff by the old standby of "cool cover, pick it up" that I've used when purchasing many times before. 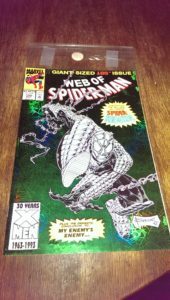 One of those happened to be an issue of Spider Man called Web of Spider Man, issue number 100 from May of 1993. 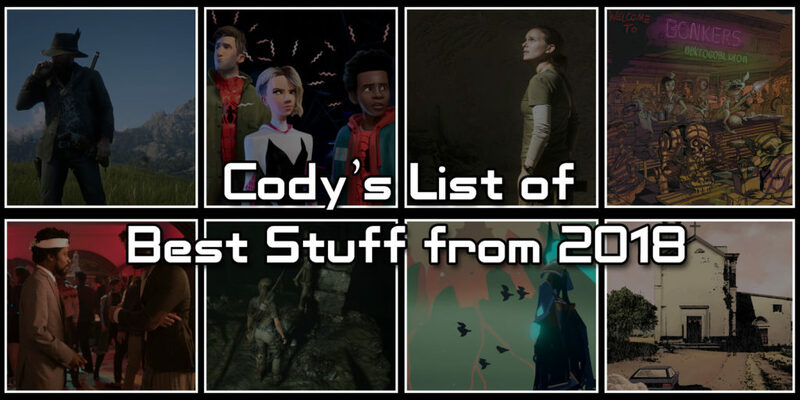 Here's where all this babbling on about this and that gets interesting. I was flipping through this Spider Man comic with a cool shiny green cover featuring Spidey in a suit of armor when I saw this effing guy right here! From there we were both wildly intrigued by the obvious similarities of these two characters and made it our business to find out just who this Nightwatch guy is. Luckily for me I had this issue of Spider Man and at the end is the origin story of Nightwatch. Convenient yes? 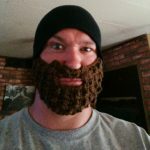 His name is Kevin Trench and he witnessed his future self being killed by terrorists hijacking a plane. He takes the black and red Nightwatch Suit from his own lifeless body. 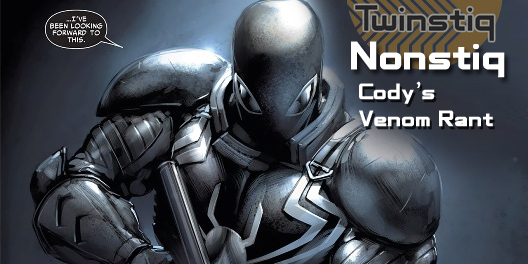 The Nightwatch Suit, is composed of nanites capable of fixing [almost] any damage to itself and its wearer. 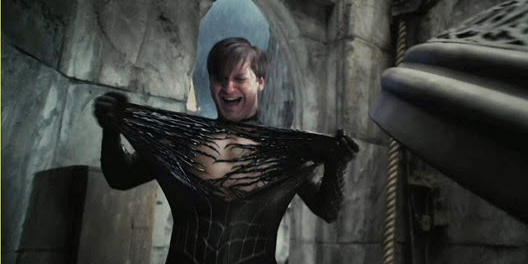 The cloak is prehensile, can be used as a separate limb and change forms. He seems to be stuck in a time loop and sort of destined to meet himself at the moment of his own death. He was killed by a mercenary, sent to hell and brought back with very few memories. 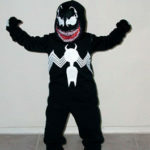 He has a red and black, living suit that can heal itself, shape-shift, and protect its wearer. So aside from names and few minute details the origins are very similar. One important fact is that they both died. Certainly they look alike: The extra tall high standing collars, the excessively large cloak, even some of the markings and colors. Powers as well: They can both self-heal. Their suits are both powerful extensions of their bodies able to protect their wearers at all times. They're both physically more powerful than normal humans. Either of them can fade into the shadows and remain hidden as well as perform some pretty similar shape shifting. 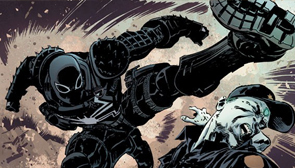 There are definitely enough character details to separate the two from being one and the same, but I [and my Sister] had to wonder... Is this a character that Todd McFarlane made before leaving Marvel completely? 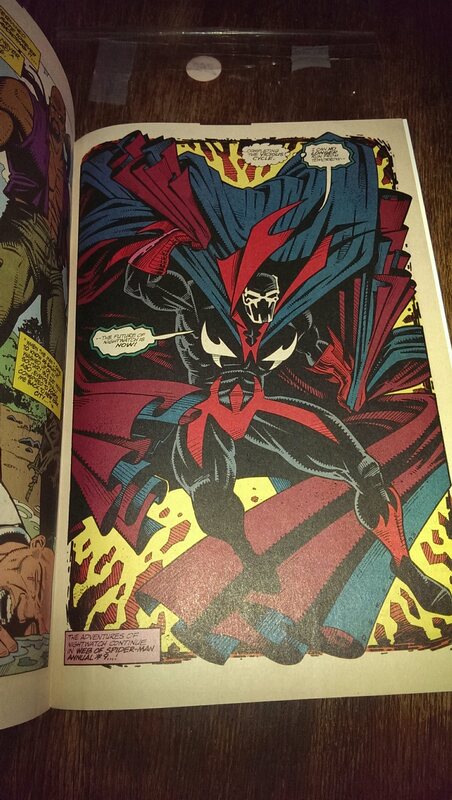 Did he base Spawn off his initial designs of Nightwatch and Marvel just happened to use his original character later? The answer is no. 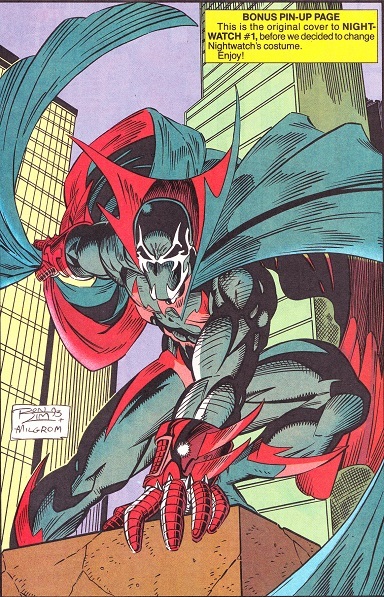 Nightwatch was created by Terry Kavanagh and Alex Saviuk and his appearance was later changed so as not to resemble Spawn so closely. 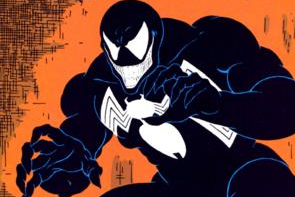 His introduction as Nightwatch happened in Web of Spider Man number 99. 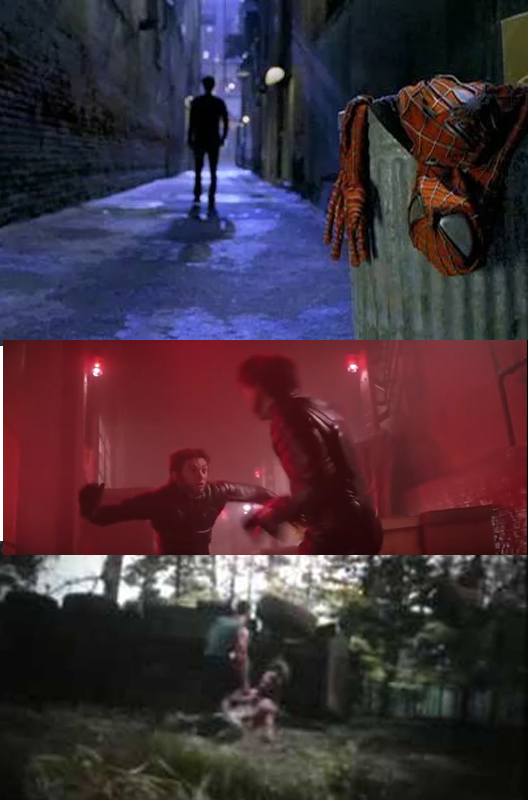 Costumes of the two characters still shared similar abilities, even if they were explained a bit differently. 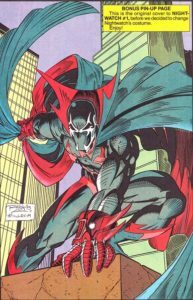 Spawn's suit is a living being; symbiotic and endowed with a host of nearly limitless dark powers from hell, including: speed, flight, healing, attack, defense etc. It'll even keep Spawn safe while he's unconscious. While Nightwatch's suit is all about nano-technology allowing for various healing, pain suppression, air filtration and vision enhancement powers. 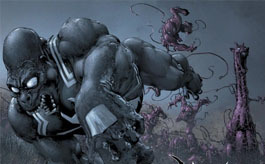 The suit is also capable of creating darkness in a limited area, gliding, and forming into sharpened tentacles. They may sound a bit different, but they can both do more or less the same stuff. 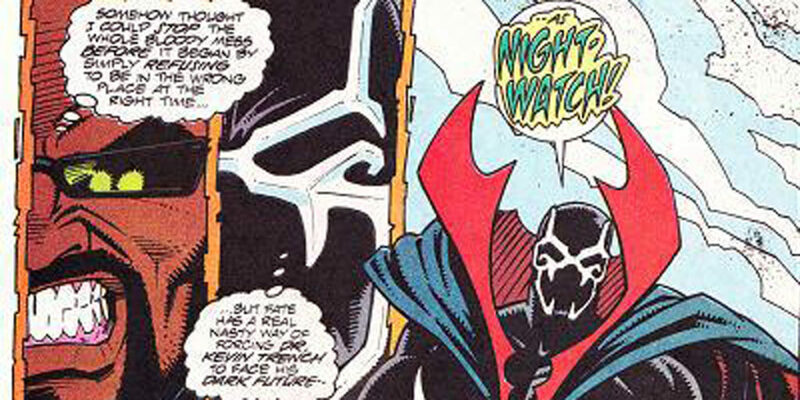 Nightwatch had his own short run series and appeared in various issues of Spider Man, and She Hulk. He was eventually killed off in a heroic way while saving an innocent in a battle called "The Great Game". So to me, these two still have a bit too much in common to be mere coincidence. 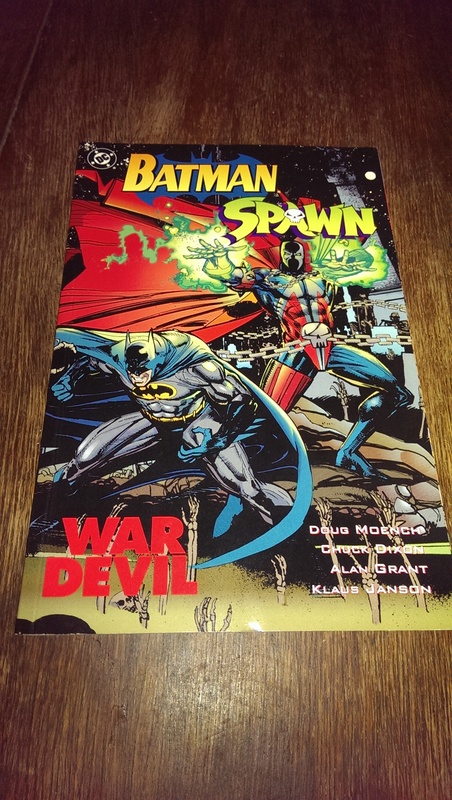 Spawn came first but only by a few months and who's to say what transpired? Perhaps someone was watching someone else and received a moment of inspiration. 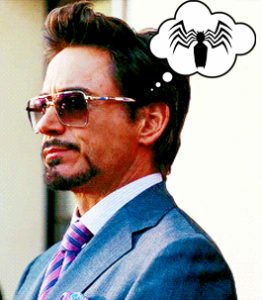 Perhaps it was a little more nefarious than that. Just because one was in print first doesn't mean the idea was first in that particular someone's head, and vice-versa. We may never actually know. 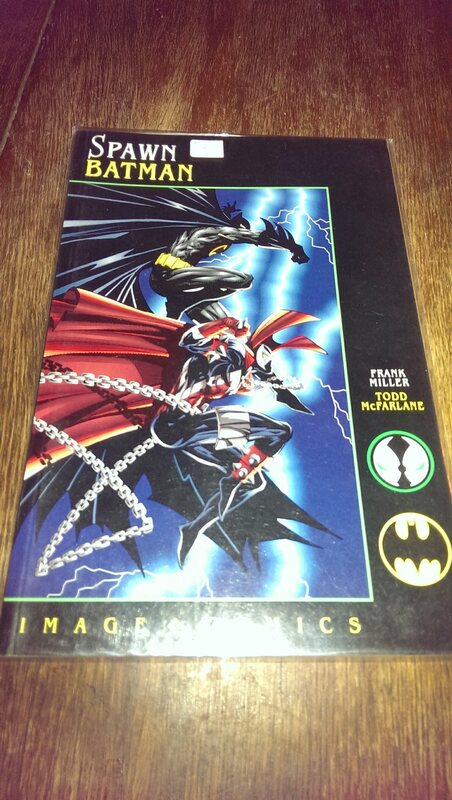 But even for a guy who only has a passing interest in graphic novels this was something that made me very curious. 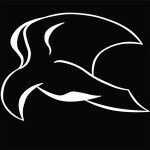 I kind of hope to run across Nightwatch again some time. And by the way while I was doing research for this article I happened to notice that I'm not the only one who ever posed the questions at hand here. I would recommend a quick Google search if you're interested in knowing more.